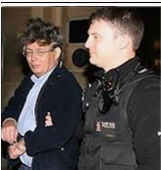 [*]Metodo 3 or Murder Ltd ? 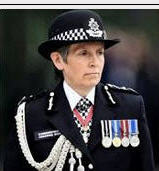 [*]Lord Stevens: "Maddie's parents are innocent"
[*]Anne Enright: "I am the very opposite of the McCanns"
[*]British "experts": Child abusers in Portugal are "often left free"
[*]Has Chief Superintendent Chris Stevenson commited a crime? 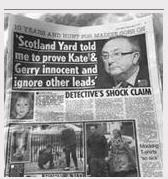 [*]Kate and Gerry McCann: "We Want New Police Chief To Clear Us"
[*]Clarence Mitchell: The McCann could go back to Portugal "of their own accord"
[*]FSS: “Everything that has emerged indicates that” Police investigation “is focusing where it should." 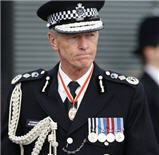 [*]Leicestershire police: Portuguese police are "a bunch off incompetents"
[*]Gerry McCann: "Madeleine is as close to the perfect child as you could get"
[*]Gerry McCann (05/Oct/07): "We did our first interview since returning from Portugal..."
[*]Alex Woolfall: if the McCann "were acting they deserved an Oscar"
[*]British detective: naming the McCann formal suspects "was not a decision that would have been taken at all lightly"
[*]Gerry McCann and his experience inside Praia da Luz church: "I became a man possessed that night..."
[*]Kate McCann: "I knew straight away she'd been taken"
[*]McCann lawyer Rogério Alves: “The Portuguese investigation will surely lead to a result"
[*]Clarence Mitchell: McCann want to "refocus the inquiry on to finding Madeleine"
[*]McCann hope new Police chief will “establish where the enquiry is” and “move it on"
[*]Gonçalo Amaral removal gave the McCann "a sense of relief"
[*]Kate's first words: "They've taken her, they've taken her!" 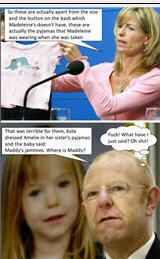 [*]PORTUGUESE CID SPOKESMAN: "SKY NEWS STORY ABOUT MADELEINE's DNA IN VAN RENTED BY McCANN IS FALSE"
Hi GoGetemGoncalo,Its called"Cognitive Dissonance" seemingly contagious to UK Police forces when investigating anything to do with Madeleine McCann case or extra thick Rose tinted glasses,fragrances to waft away the Bull s**t from the Tapas 7/9?